Our pull out drawer system was co-developed with the Marshall Service to provide maximum storage capacity and security within the Police Tahoe vehicles. 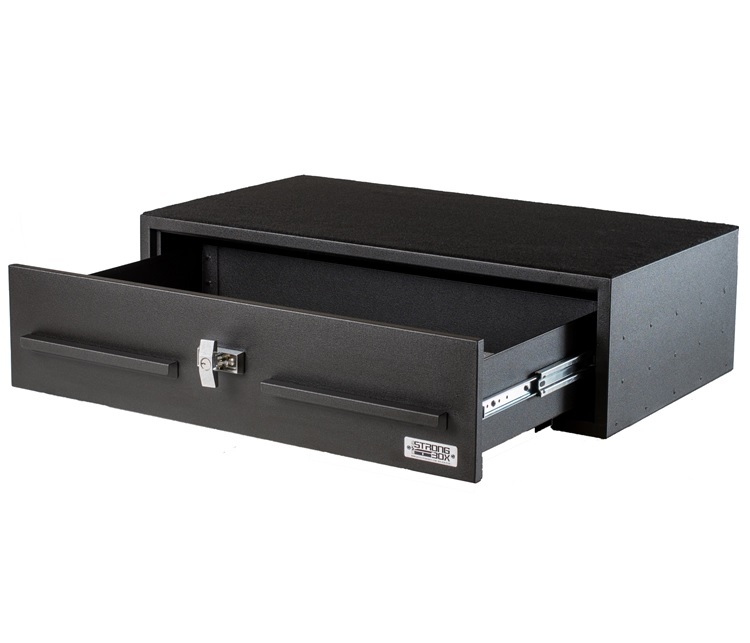 Our most popular storage box for the Police Tahoe is sku #7126-7634. Like all in-vehicle storage boxes, it’s made with a single high security Medeco lock (combo lock option available) with protected T-Handle and 3-point latching system, our box is more than secure. Each weapon locker is constructed of cold rolled steel and powder coated in wrinkled black. Made in America our vehicle gun storage boxes are designed and manufactured with the best material and without compromise.